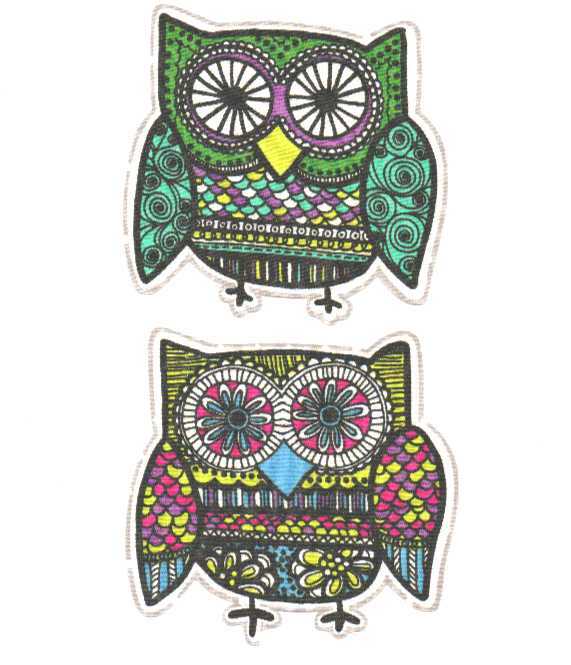 Includes 6 colorful owl appliques (3 different pattern) made from quality cotton fabric, with an iron-on backing. These large, bright, colorful appliques would make a great jean jacket, vest, sweatshirt or t-shirt. Use them to patch your jeans, create tote bags, pillows .... ...the possibilities are endless! Owls measure 4" x 4"